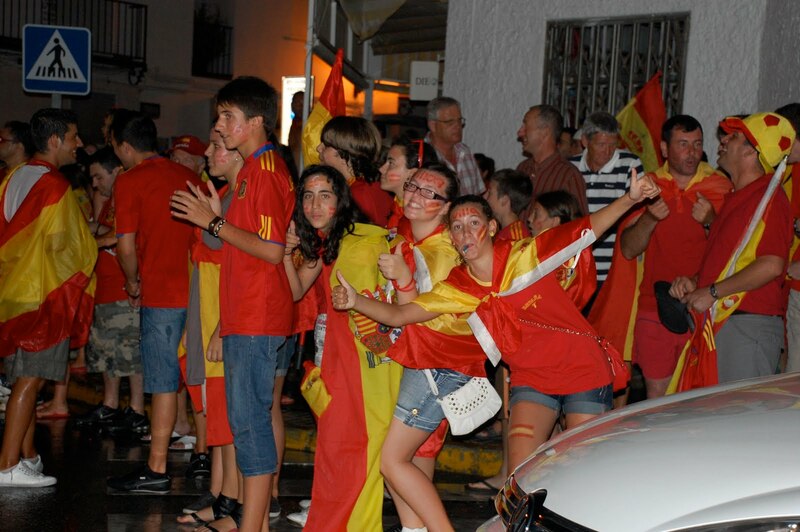 We arrived in Nerja, a short drive from Granada, just in time to watch the final game of the 2010 Copa Mundial and then celebrate Spain's first-ever championship with just about everyone in town. A few dejected Dutch fans (see below left) were the only exceptions to the jubilant crowds parading through the streets and - in some cases - fountains dressed in red and yellow and wrapped in and/or carrying the Spanish flag. Lots of photos from that memorable evening. Days later we were still hearing spontaneous bursts of creativity from the bar down from our wonderful rental apartment (thanks Frans & Nuttee), as inspired Spaniards burst out with new songs commemorating the campeones del once de julio. 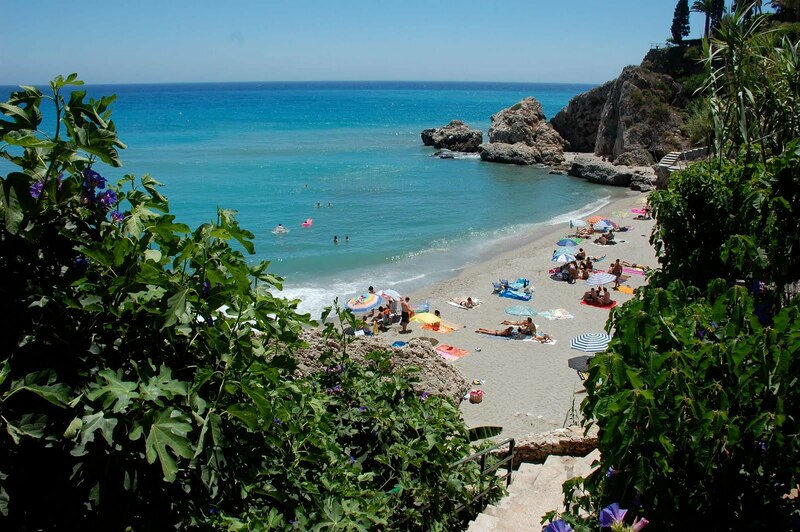 Nerja, located on the Costa del Sol, is an old town that caters more to tourists from other European countries, unlike than the newish resort of Oropesa del Mar, where almost everyone seemed to be Spanish. It is also the birthplace of Kurt's great-grandmother on his mother's side. Angustias Centurión, mother of his maternal grandfather, was born here in the 1880s, moving as an infant to Cuba, where her military father was stationed to help stifle rebellious initiatives. Angustias later immigrated with her husband to Tampa, Florida, where "El Boy" Fernández (Kurt's mother's father) was born. Meanwhile, the Centurión clan has continued to prosper in Nerja, and Kurt has many distant relatives there. In our first trip to Nerja in 2000, we met three elderly nieces of Angustias and some of their children. Ten years later, the ladies had passed on, but we reconnected with Loli and Miguel, children of Dolores. 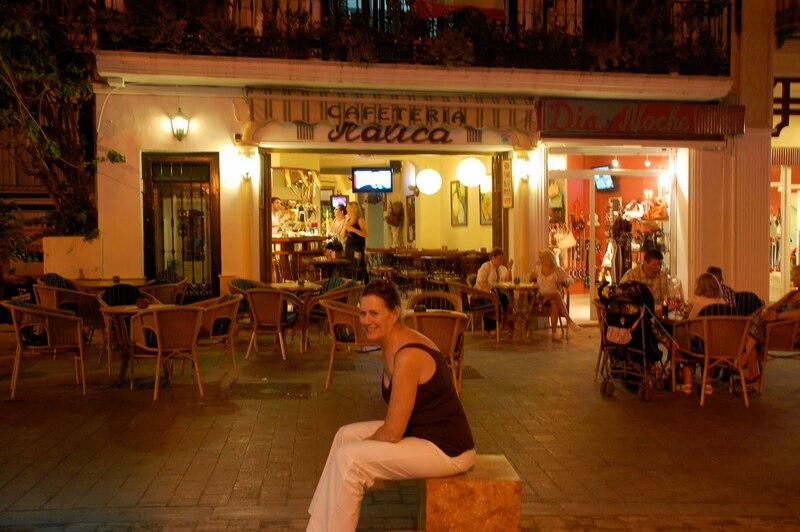 Together, they still operate the "Bar Italica" in Plaza Cavana, near the Balcón de Europa. We also met Linda, another Centurión, born in England, whose grandfather was the eldest uncle of Loli and Miguel. Family photos here. We also got in some serious beach time, along with the usual culinary adventures. Our best find was Jaipur's Indian restaurant, a short walk from the apartment. Jaipur's serves a special wine - named Balti - blended to complement various categories of spicy Indian foods. In the small world department, the blend of chenin and chardonnay we selected comes from Mendoza, Argentina. When we get back home, we're going to track it down. The Argentine connection continues.